"Share with someone you love." Chop the chocolate into small pieces and melt in a small heavy saucepan or in the top of a double boiler over simmering water. Stir occasionally until melted. Add the hot chocolate mix and sugar, stirring constantly until blended. Remove from heat and slowly add 1/2 cup of the milk, stirring until smooth. Cool to room temperature. 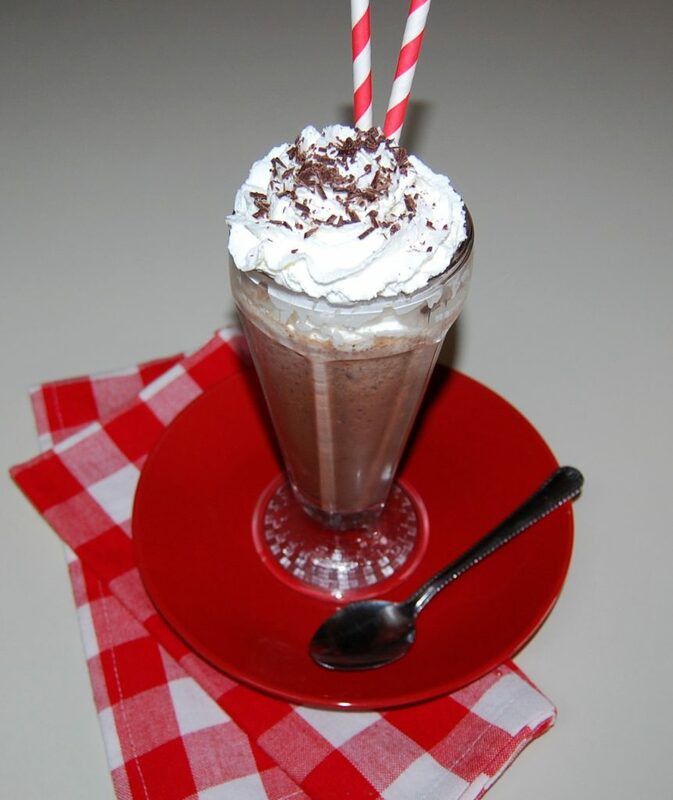 In a blender, place the remaining 1 cup of milk, the chocolate mixture, and the ice. Blend on high speed until smooth and the consistency of a frozen daiquiri. Pour into a giant goblet. 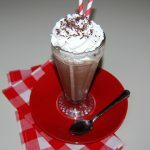 Top with whipped cream and chocolate shavings. Garnish with a cherry and two straws.